Home owners who have successfully sold their units en bloc may turn to HDB rentals while they wait for a permanent replacement flat. Once the en bloc sales deal is completed, owners can hand over the units with vacant possession for 100 per cent of the sales proceeds, or opt to stay on for another 6 months. But those that stay put will receive only 95 per cent of the proceeds from their successful en bloc sale. Such home owners may negotiate to stay put for up to 6 months, provided such terms are negotiated and agreed upon during the Collective Sales Agreement (Terms and Condition stage). And 5 per cent which will be held back until the home owners move out may not be a small amount. If the owner receives $2 million from the successful en bloc sale of his unit, the 5 per cent will amount to $100,000. And this is a significant amount, especially since the Loan-to-Value (LTV) limits have been tightened with the new property cooling measures. All private residential unit buyers will have lesser loans available for the purchase of their new homes. There is a 5% reduction in every category of loans. 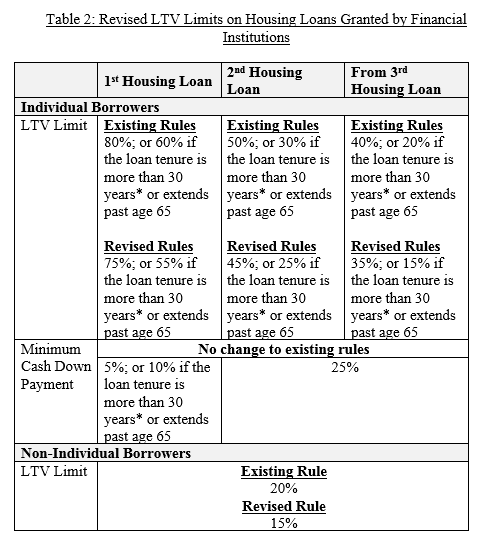 So if originally the Loan-to-value is 80%, it becomes 75% now. For example, a 75% loan-to-value means a downpayment of 25%, made up of 5% cash and 20% CPF (provided buyers have enough CPF). Buyer Stamp Duty (BSD), 1% on the first $180,000, 2% on the second $180,000 and 3% on the next $640,000 and 4% thereafter. For a S$1m property, the 4% stamp duty does not apply. Loan-to-value of 75%, that is $750,000. This 75% of loan is subjected to the usual Total debt servicing ratio (TDSR) which limits the person’s overall debt to be within 60% of a his/her gross income. 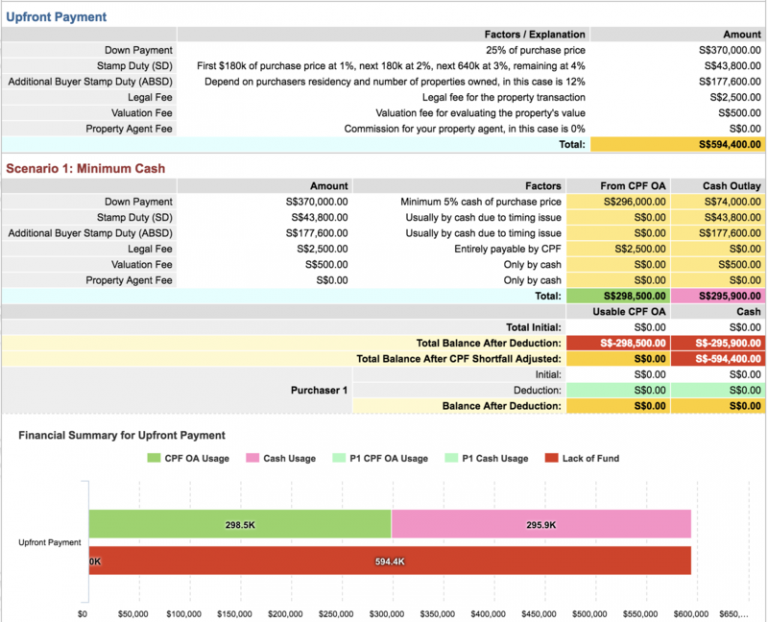 Image credit: iCompareLoan Home Loan Report for new launch condo home loans calculation, Screenshot, www.iCompareLoan.com/consultant. Receive a free home loan analysis report from iCompareLoan, to get your property agent to run a home loan report for you. This is why HDB rentals may look attractive to home owners who look for more options after successfully selling their units en bloc. HDB rentals allows such home owners to patiently search for a permanent private or public residential unit. HDB rentals also provide such home hunters spacious, affordable accommodation whilst they wait for a replacement. “Some may lease slightly longer since the replacement cost of buying a new home is now higher under the new cooling measures, especially for those who own multiple properties,” said OrangeTee & Tie head of research & consultancy Christine Sun. There were about About 1,735 HDB rentals in June. This is 5.8 per cent down from 1,841 units in May. Rents are generally down for all HDB flat types except for HDB 5 rooms, which were up 0.1 per cent. “Buyers looking at entry-level private properties may potentially consider HDB properties instead, as the latter are not affected by the latest cooling measures and loan restrictions,” said Kenneth Szeto, partner at Withers KhattarWong. Market observers have also said that there is a chance that the collective sales market will be dampened by the new property cooling measures as developers become wary of end-demand and are hurt by the 5 per cent non-remittable ABSD on land purchase. This is expected to have an impact on their offer prices. The new property cooling measures are not bad news for all segments of the real estate market. The HDB resale market is expected to get a boost from this measure. Strata-office and shophouse markets could emerge as the other biggest gainers of the new property cooling measures. The residential leasing market which has seen lackluster action so far, might also stand to benefit as some foreign owners of collective sale sites who might now look to rent instead of own their place of residence to avoid the higher ABSDs. Some local owners of collective sale sites could also look to rent as an interim measure while they wait in hope of private home prices to correct.